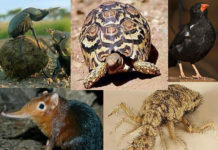 aspects of global wildlife management. 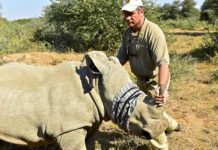 South Africa has scored another hosting coup and will welcome wildlife experts from around the world when it presents the prestigious International Wildlife Management Congress in July at Durban’s International Convention Centre. The last such gathering – the third – was held nine years ago at the University of Canterbury in Christchurch, New Zealand. That marked the event’s southern hemisphere debut, and now it comes to Africa for the first time for its fourth edition. Prior to New Zealand, the previous meets took place in Costa Rica in 1993 and Hungary in 1999. According to event organisers, an average of 600 delegates have attended these events – they include representatives of governments and academia, NGOs and more. 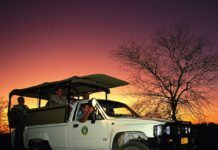 The Durban event is hosted by the Maryland-based Wildlife Society in partnership with South African National Parks, the Wildlife and Environmental Society of South Africa (Wessa), and Ezemvelo KZN Wildlife, the provincial wildlife authority. Organisers hope to draw 1 000 delegates from around the world. “We are really proud and excited to co-host this congress,” said conference co-chair Mumsie Gumese, CEO of Wessa. 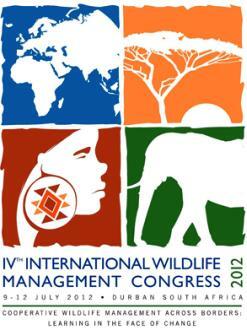 The theme of this year’s congress is Cooperative Wildlife Management across Borders: Learning in the Face of Change. The programme features topics as varied as habitat restoration; dealing with invasive species; climate change; human aspects of wildlife management; carnivore conservation; wildlife health and disease; and the use of camera traps in managing wildlife populations. The official logo for the local event is divided into four sections and three of these draw attention to core aspects of global wildlife management – people, animals and habitat. The fourth element is conspicuously South African and features a Zulu love letter, a beaded piece of craftwork which, say the organisers, reflects sentiments of love and care in the Zulu culture and signify a nurturing spirit for and protection of the planet. The congress will also feature an exhibition for relevant organisations, and delegates will be entertained outside the auditorium with tours around Durban, safari experiences, and more. 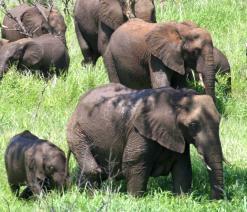 South Africa has established a fine track record in wildlife management and is well-suited to host this event. The country is responsible for the turnaround in population numbers of the white rhino – although rampant poaching now threatens to undo all the good work. During the 1960s the white rhino was hunted for its horn to such an extent that only a few hundred individuals remained. That was when a few local conservationists took steps to save the animals, which included relocation to other, safer, parts of the world. Later, in the 1990s a decree by authorities that private game landowners could keep rhinos also gave the species a helping hand. The white rhino population now numbers in the tens of thousands, a figure that is dwindling by the day because of external factors. 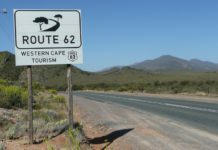 In terms of boosting human capacity, South Africa’s many community-based wildlife and natural resource management programmes have given people a sense of ownership and responsibility in doing their bit to care for their immediate environment.